We wanted to showcase our Top 10 most active eSteem users and welcoming all of you to check their profiles, say hello and congratulate them. Thank you guys, keep on eSteeming! Based on a daily activity from eSteem Mobile and eSteem Surfer apps all our users get ranked. It depends on amount of posts and comments generated. So most active are raising on top of the others and this stats is available in recent build of eSteem Surfer. 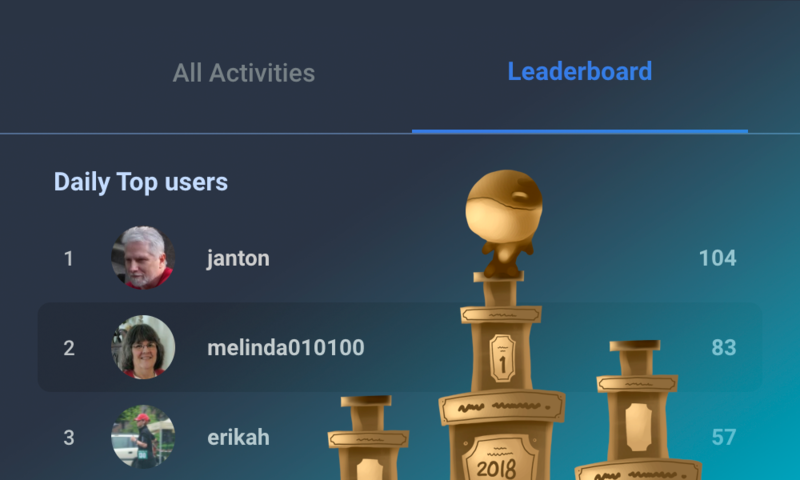 We believe this could give more visibility to our users and planning to improve this feature with next versions adding some achievements and rewards for this. P.S. There was @demo account in Top this thime but we excluded it because this is eSteem account for developer tests. It is so cool and nice to see my friends in the leaderboard. Thanks for all your support @esteemapp! I love that the leaderboard is working properly and is accurate! Both @janton and I have been watching it closely for several weeks, checking it at the same time each day and it is giving us a precise number of our daily comments. Thanks for this very helpful feature. We have some plans to improve this ranking further but for initial version, I think it is quite decent. ;) Thanks! It is very helpful! And I really like how it looks! This was quite a surprise for me! Thank you for your support! 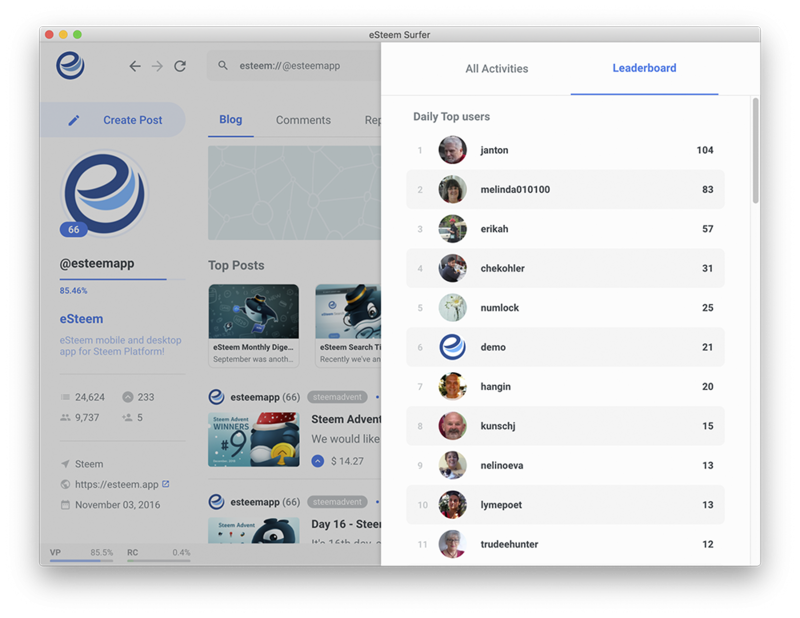 Thank you @esteemapp for this leaderboard, it's a helpful tool and motivating too. I've been on the board for quite some time along with my dear friend @melinda010100, and now I'm happy to see @janton as well, who's been great as you can see! Congratulations to all of those who are on the leaderboard! Great job, keep it up and spam free, we have a job to do here, we have to show new users how it's done. thank you so much erikah and congratulations to you too! I dont like that stuff!! There are only two people on this list that I do not know personally and I will be sure to check them out, but I can assure you that all of the others make real and quality comments! I agree with @melinda010100 here! Congrats to you! You can do it! I am a new user with a reputation that is still low, support from @good-karma I really hope for. This is new to me! I have to investigate too!! Reblogged! In case I forgot!